Andres Segovia had little use for modern innovation where the classical guitar was concerned. For Segovia, the classical guitar ethos mainly featured six strings (nylon, to be sure, but still...), one guitar (though he did admire the playing of the Presti-Lagoya duo), and compositions he transcribed or which were dedicated to him. 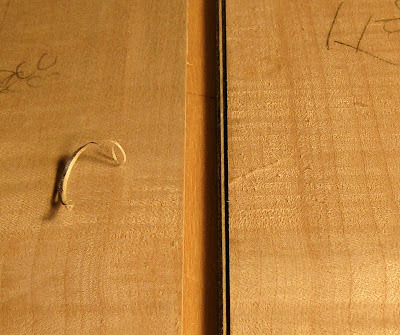 Slowly, I continue work on the neck for the 10 string classical guitar. 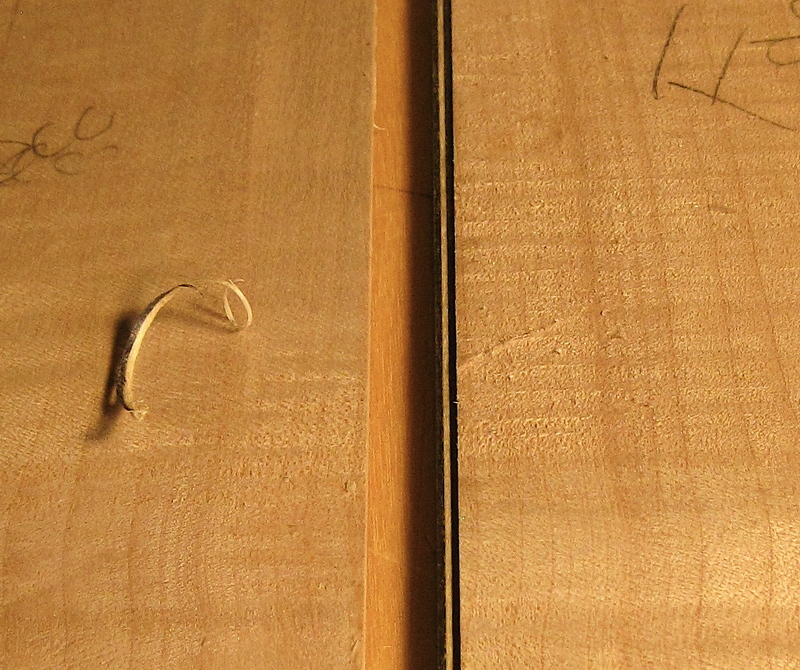 I decided that the headplate should have BWB purfling sandwiched between to the two halves of fiddle back maple. I will use this BWB in the back of the guitar. Here's a close up of the joint while the pieces are in situ on the shooting board. In order to join the pieces I made a small version of a plate joining jig. The two pieces together are four inches wide - a top or back for a classical guitar are a little over sixteen inches wide when you join them, I hope from that description you can get an idea how small this jig is! The maple grain looks lovely. Looks like a delicate operation! Rob: Yes, it's a bit delicate even with a super sharp plane blade! That is the nice thing about the BWB veneer, it hides many sins!